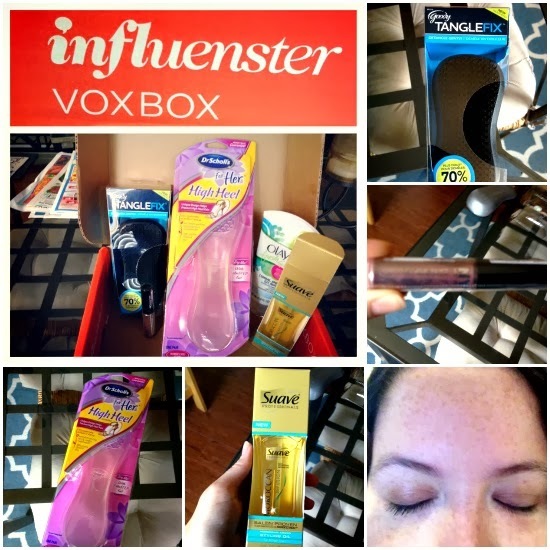 Eat, Drink, and Be Lauren: Influenster Paradise VoxBox - Perfect for Date Night! Influenster Paradise VoxBox - Perfect for Date Night! If you follow me on twitter or instagram, you know that at the end of August I received my Influenster Paradise VoxBox. If you aren't already a member of the Influenster program, get on board! Personally I love getting free stuff in the mail and this was my second box. I liked it even better than the first. I received these products for free for reviewing purposes but all opinions are mine. Would you expect anything less? The day I got this, we had a date night planned for that night and I was able to use everything in the box, so that was cool. Goody TangleFix - This is a palm-sized brush with short bristles that is supposed to help get rid of tangles. If you have a daughter, then this product is probably awesome. I mostly use it when I have second day hair because it makes my hair less frizzy than running my regular brush through it. It also causes less breakage on my wet hair than my regular brush. Olay Fresh Effects Shine Go Away Face Wash - I have pretty oily skin and I need something with some punch. I used this almost exclusively for a week and got several blemishes, so I went back to my regular soap. I will use it for my second wash of the day or on occasion, but it's not strong enough to be my only face wash. It's too bad because it smells great! Dr. Scholl's For Her - I liked these a lot! I put them in my highest heels and they added a nice cushion, plus they took up some extra space which is helpful for me and my narrow heels. I would definitely recommend them if you need a little something extra in your shoes! NYC New York Color Sparkle Eye Dust - I know nothing about make-up but I really liked this. If you like a dramatic look, you can just apply it with the brush for dark color and lots of sparkle. I don't wear a lot of make-up, even on date night, so I dabbed it on with the enclosed brush and then spread the color around using a q-tip. It was the perfect amount of color and sparkle. Suave Professionals Moroccan Infusion Styling Oil - I love this stuff! I was using a similar product by another brand and really didn't have an issue with it. However, this is way better! It's lighter and it smells better. My hands aren't left feeling as oily after use and it tames the frizzies pretty well. I am a fan of Suave products already (gotta love cheap stuff!) and this just further cemented that. I almost did a vlog about this never did... maybe next time! Look at all fun free stuff! I have my fist box on the floor and I need to get a post up already. I always see people who get these, and I've always wondered about them. Can anyone sign up? 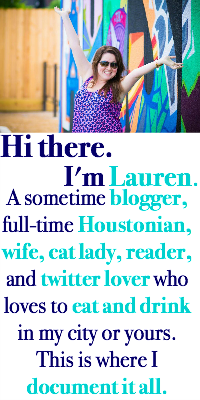 Do you just have to write a blog review? I am always hesitant because I don't want to get myself into something where I have to do tons of reviews, tweets, etc. I've wondered about the Suave oil. That's good to know. And you should totally do a vlog! I love my Dr. Scholl's, hehe. You should vlog next time! I've been wanting to do get into vlogging but I'm a scaredy cat. I tried the Olay fresh effects and feel the same way! Smells fantastic, doesn't work too welLl! Oh I want to get the tangle brush for my daughter! Does the TangleFix really work?! I've debated whether I'm going to buy one or not. All my teasing causes lots of tangles out of the shower, ha!